The World of Beatrix Potter in Bowness-on-Windermere is celebrating it's 25th birthday, and the author's 150th birthday. Peter Rabbit is to feature on the next 50p coins to be created by the Royal Mint. 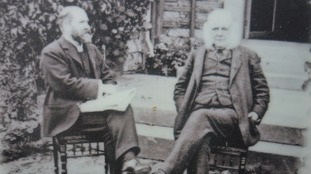 It celebrates the 150th anniversary of the Lake District writer and illustrator's birth. The new coins are designed to give a snapshot of Britian over the last 1000 years. The Bank of England has finished its two-month consultation into who should appear on the new £20 notes - and a famous Cumbrian author is amongst the front-runners. Beatrix Potter, who had holidays in the Lake District, and eventually bought a farm there, is known for her children's books, including "The Tale of Peter Rabbit". More than 21,000 nominations have been sent in, with other suggestions including architect and designer Charles Rennie Mackintosh, painters John Constable and JMW Turner, fashion designer Alexander McQueen and sculptor Barbara Hepworth. Nominees to replace economist Adam Smith on the £20 note must come from the world of the visual arts and no longer be alive. A short-list of nominations will be drawn up before Bank of England Governor Mark Carney makes the final decision. The new £20 note will go into circulation in 2020, and there's another Cumbrian connection, as a company in Wigton, Innovia, is at the heart of the manufacture of the new plastic notes. Beatrix Potter was a scientist and wrote a scientific paper on fungi. Being a woman she wasn't allowed to present her paper. Until now.